Volunteer mission trips are a great way to help people and make a difference in the world. I decided to go on a week-long mission trip to Haiti about 3 months before the trip. Turns out that’s pretty good timing for all the things you need to do (and consider) before the trip. 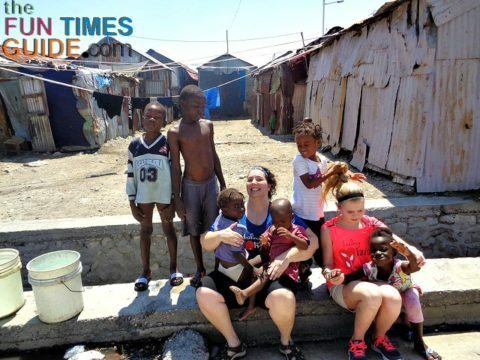 My research and this article refer specifically to my trip to Haiti – with a Christian organization – but there are opportunities with secular organizations as well. There are also many opportunities to volunteer with mission trips in the United States. I was invited to join a friend who was traveling with Healing Haiti. 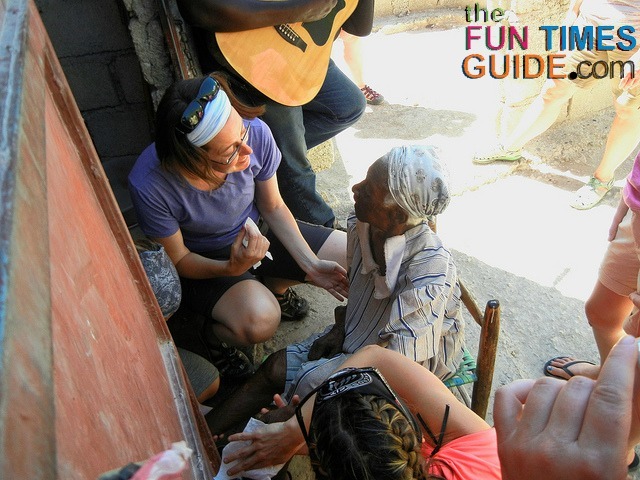 They were an established group and had been facilitating week-long trips in Haiti for nearly 10 years. Safety of the group was stressed as a priority. Empowering local Haitians through employment opportunities and as resources is part of their mission. There are many reputable organizations that host volunteer mission trips. So if your church or other groups are not affiliated with one, you can use the Internet to find one that will work for you. Each organization will have a unique mission and focus that will drive the events for your group. Be sure to choose one that will meet your individual goals, strengths, and skills. Healing Haiti requires an online application, which is forwarded to the group leaders for consideration. If you’re accepted, you may need to pay a reservation fee (mine was $100) to confirm your spot on the trip. This fee will be applied to your overall trip expenses. Attend all group meetings prior to the trip, if you can. I was a long-distance member and joined in via Skype. I was able to ask all of my questions, as well as hear the questions asked by my team members. There was also a closed Facebook page for all group members to post information and questions. Another reason I really like Healing Haiti: they make sure the short-term missionaries (volunteers) understand that what you will be doing during your week of service is how Healing Haiti works toward meeting their overall, long-term goals. While they definitely want to help you have a good experience while you’re there, they are clearly “using” volunteers like us to help fulfill their mission. This was important to me – because I didn’t want my contributions to be a “one and done” kind of thing for the people of Haiti. Healing Haiti has standing obligations in Haiti, and my service will assist those efforts. Be sure to ask questions before you apply for a volunteer mission trip. And be aware of the physical requirements for the trip and any special accommodations – if you need them. For Healing Haiti, the driving motivation is to help break the cycle of poverty and strengthen families and communities by empowering the Haitian people with job and education opportunities – rather than simply doing things for them, or giving things to them. Water delivery to Cite Soleil, the poorest slum in the Americas – Healing Haiti delivers 63,000 gallons of fresh, clean water every week. The water is free, and for many is their only source of clean water. It is also a chance to play with the local children, giving them an assist with the water carry or just a break from the hot tedium of their days. love on the babies and children who are hospitalized or housed here. Many of the children are left here by their parents because they simply cannot provide the food or care needed. They come to visit and hopefully plan to take the children home someday. Sadly, this is also the last stop for the sickest babies and children in Haiti. One sweet infant died while we were there, surrounded by the love and singing of many of the nurses and sisters. Visits to orphanages – Healing Haiti works with many orphanages and rotates visits from week to week to share the love of the different visiting mission groups. 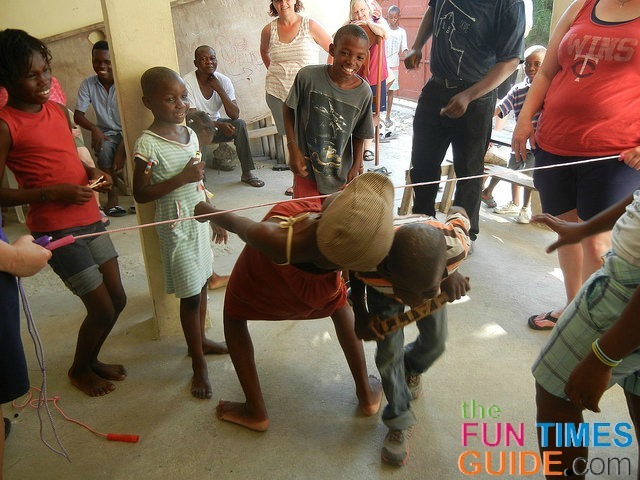 The children love to play games (jump rope is a favorite), do crafts, sing and dance, braid hair, and anything else we could think of. Grace Village, a truly special place created by Healing Haiti – It’s an orphanage for children who have been placed in a home with several children and a Mami and a Papi as parental figures. This helps the children begin to understand how a family structure is supposed to work – hoping that one day they will be able to have their own family. Grace Village also has a school, clinic, feeding center, church and a new bakery/restaurant – which will provide new jobs for 400 Haitians! Elder visits – Healing Haiti has a program for people to provide monetary support for elders living in the rural village of Titanyen. Again, on a rotating basis, mission groups spend time with 3 or 4 elders. We took them a cold drink and a hot meal, companionship, singing and prayers, and any other items the person needed. There will be several types of expenses for your week-long trip. You can utilize fundraising techniques to assist your own financial contributions. Use the Internet to find creative ways to raise money for your mission trip – there are a million articles like this that will have great ideas. Be prepared to answer a wide variety of questions about your trip. Most people were very interested in my trip and were genuinely supportive with their questions. What exactly will you be doing there? You don’t have a medical background, how can you help? 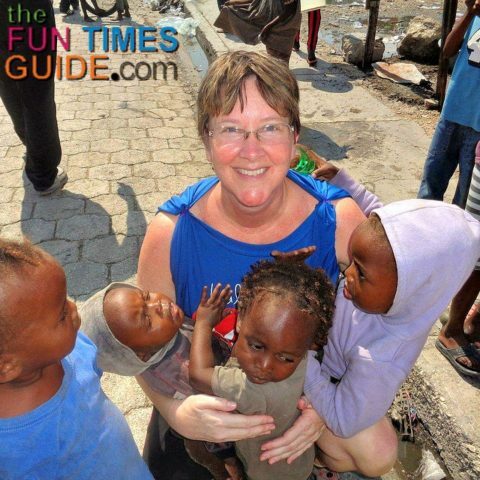 Why go all the way to Haiti when there are needy children in America? I’ve heard money donated to those countries gets wasted and doesn’t really help the people, what about that? Do the best you can to answer their questions, and be honest if you don’t know. After all, you’re doing this to learn some things yourself! You may run into people who are convinced that volunteer missions are a waste of time and possibly even hurtful to the host country. This article may help you respond to these detractors. But remember, it’s not your responsibility to change anyone’s mind about volunteer mission trips. This will be a good opportunity to share what you’ve learned and give them something new to think about. What you need to pack and wear will be dictated by the culture you will be in and the activities on your organization’s agenda. You will be given a suggested packing list, as well as any dress code requirements. The dress code for women’s shorts says they must be knee-length. Because I’m kind of tall, that would pretty much mean Capri pants – which I didn’t want to wear in blazing hot Haiti. So I asked during a meeting and was told that as long as my shorts are longer than my fingertips, I’d be okay. That made a big difference to me, and I found some shorts that worked and did not need to wear Capri’s. Several people did wear Capri pants – which was totally fine, and I respect their choice to do so. The guest house we were in had a pretty good pantry of over-the-counter medicines, as well as a good supply of sunscreen and bug spray. I took my own supplies of all of these (mostly in small travel sizes). Next time, I will take full-size bottles and plan to leave behind anything not used – which is how their supply gets replenished. I found myself with way too many small packs of Kleenex, eyeglass cleaner, hand sanitizer, and other random things. For my next trip, I will carefully reconsider my original packing list and try to cut it down. I was worried that I would find myself in a developing country and suddenly need [insert random toiletry item here] and not be able to get it. Chances are, the guest house supply or another traveler will have what you’d need. If not, the group leaders are wonderful about doing their best to get whatever someone needs. For Healing Haiti, each group member is asked to use their one checked bag solely for requested donation items. That meant all of my personal items and clothes would go only in the carry-on items. For my trip on American Airlines, my carry-on items were 1 small bag that can fit in the overhead bin and 1 “personal item” (a backpack). Be sure to confirm your airline’s bag measurements for both checked and carry-on luggage – because it varies by airline. Healing Haiti also made it known that if the checked bag could be left in Haiti, it would be put to good use. Some group members picked up cheap bags from Goodwill or Craigslist and did plan to leave them behind. Several others (and I) chose to use our own bags and bring them back with us. Check with the organization to see what your laundry options will be. At the Healing Haiti guest houses, the Haitian ladies who run the house were happy to do our laundry. We would leave dirty clothes each evening, and they would be returned usually within 2 days. When I learned that the ladies do the laundry by hand, I personally chose to keep my laundry to a minimum. Only when something was very dirty and I would need to wear it again would I ask the ladies to wash it. I purposely took enough undergarments, so laundering would not be needed. Super smelly clothes went into a ziplock bag to fester until I could wash them at home. (Phew, that was a fun load of laundry!) I took many ziplock bags. We used them to arrange donation items, and I used some to pack liquids in my suitcase, so I had plenty on hand. They also needed some items would be used by the volunteer groups at the guest house – such as large bottles of hand sanitizer and pancake syrup. All of these things were packed in the checked bags. Your organization should recommend all of the travel shots and meds you will need, and you should confirm that with a travel clinic or doctor. Also make sure that you have appropriate amounts of your regular medications. All meds should be packed carefully in your carry-on luggage. I had no side effects from any of the medications, and I (thankfully!) did not need to use the Z-pack or Diflucan. Some members of my group did have tummy trouble and started right away on the Z-pack antibiotics, while also taking Imodium. I would also recommend something like Excedrin or Ibuprofen for headaches – which may be brought on by the heat, or if you aren’t drinking as much water as you should. If your location is hot and humid, drink more water than you think you need. Take it from me, you will sweat a lot and deplete your fluids. Don’t drink the water! If this is delivered as a caution to your group, take it seriously. If you’re going to volunteer in Haiti, it will be HOT! And humid. And primarily not air-conditioned. For my entire trip, I had AC in my bedroom (during sleeping hours only) and when we went to the Museum of Haiti. That… is…it. The airport in Port-au-Prince says it’s air conditioned, but I think they use that term loosely! Plan to drink plenty of water and take advantage of the breeze from your moving tap-tap (the primary mode of transportation in Haiti). So do your research, update your passport, raise your money, get your meds, and get excited! I fell in love with Haiti, had the experience of a lifetime, and met life-long friends. I hope your mission trip will do the same for you.